Goodreads helps you keep track of books you want to read. Error rating book. Refresh and try again. We’d love your help. 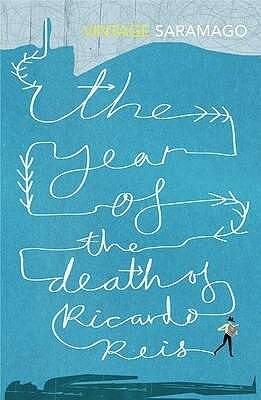 Let us know what’s wrong with this preview of The Year of the Death of Ricardo Reis by José Saramago. Thanks for telling us about the problem. Not the book you’re looking for? The world's threats are universal like the sun but Ricardo Reis takes shelter under his own shadow. Back in Lisbon after sixteen years practicing medicine in Brazil, Ricardo Reis wanders the rain-sodden streets. He longs for the unattainably aristocratic Marcenda, but it is Lydia, the hotel chamber maid who makes and shares his bed. His old friend, the poet Fernando Pessoa, The world's threats are universal like the sun but Ricardo Reis takes shelter under his own shadow. To see what your friends thought of this book, please sign up. To ask other readers questions about The Year of the Death of Ricardo Reis, please sign up. Saramago suggested this novel might be fully appreciated by someone who is Portuguese. Giovanni Pontiero in his introduction says, "the novel demands considerable knowledge of Portugal's history and culture from the stirring times of glory and empire up to the first ominous chapters of dictatorship under Salazar". What should i read up on? Did anyone not Portuguese feel they got a lot from the book? The only difference between life and death is that the living still have time, but the time to say that one word, to make that one gesture, is running out for them. What gesture, what word, I don't know, a man dies from not having said it, from not having made it, that is what he dies of, not from sickness, and that is why, when dead, he finds it so difficult to accept death. My dear Fernando Pessoa, you're reading things upside down. My dear Ricardo Reis, I can no longer read. Improbable on two The only difference between life and death is that the living still have time, but the time to say that one word, to make that one gesture, is running out for them. What gesture, what word, I don't know, a man dies from not having said it, from not having made it, that is what he dies of, not from sickness, and that is why, when dead, he finds it so difficult to accept death. My dear Fernando Pessoa, you're reading things upside down. My dear Ricardo Reis, I can no longer read. Improbable on two counts, this conversation is reported as if it actually took place. There was no other way of making it sound plausible. Sometimes Silence is enshrouded in such disquiet that unheard voices have the loudest sound. Their echoes continue to haunt generations to come long after the voices have themselves ceased to exist. Among those haunted, there remain a few whose sojourn in the land of unheard is deliberately prolonged. Perhaps what haunts them is the echo of their own thoughts, sometimes resulting in a laborious love affair with words which benefits the readers like us in a twofold manner. Interestingly, even if those words, at a glance seem mundane, they carry with them such traces which make you feel nostalgic for that Silence you savored in the first place. This is how I can describe my reading experience of this work by Saramago featuring Fernando Pessoa. Pessoa’s “The Book of Disquiet” left a profound impression upon me and the knowledge of his creation of heteronyms (around 80) intrigued me even more. To be able to create such heteronyms and then to ascribe different personality traits and writing style to them, is a marvelous feat in my opinion, especially since it demonstrates the enormity of an otherwise trivial human existence. And this idea is what is precisely achieved by Saramago through his writing in this work. He creates a piece which befits his style and his personality, written in a manner quite ordinary (as demonstrated by the thoughts and life of Ricardo Reis, a heteronym of Pessoa, in this work) yet it captures the immensity of a banal existence so beautifully that it makes you ache more for the master. It seems Saramago was enchanted not only by the creative power of Pessoa but also by his life, his everyday life. That is why he casts Ricardo Reis, a heteronym of Pessoa, as the central character here and offers us a glimpse into the master’s mind as he carefully constructs the character of a sluggish and estranged Reis, these traits being also associated with Pessoa during his lifetime. His deftness in using magical realism shines forth as he juxtaposes Reis and Pessoa in the novel. Reis comes to Lisbon after the death of Pessoa and visits his grave. He is then visited by the ghost of Pessoa and the two engage in conversations whenever they meet. The conversations are cerebral at times which only seems to suggest the kind of struggle Pessoa, who mostly remained solitary, went through during his lifetime. Being and existing are not the same things. Sometimes we just exist, as life exists but without being aware of this existence. We stride through life as in a dream, languid and aloof. Sometimes we struggle to be on the other side, to feel intensely and make out some meaning, to seek answers and to elevate. And perhaps these are the two sides of life which are indispensable, which are necessary to navigate through this world. I am still not sure why Saramago named this work as “The Year of the death of Ricardo Reis”, maybe I am looking for too much, may be this way he pays his tribute to the master, by saying all those words that Pessoa didn’t in his lifetime and thus finally letting him rest in peace. The Year of the Death of Ricardo Reis (in Portuguese: O Ano da Morte de Ricardo Reis) is a 1984 novel by Portuguese novelist José Saramago, the winner of the 1998 Nobel Prize in literature. It tells the story of the final year in the life of the title character, Ricardo Reis, one of the many heteronyms used by the Portuguese writer Fernando Pessoa. In the novel, Ricardo Reis returns to Lisbon from Brazil, upon receiving word of Pessoa's death. While there, he chooses not to resume his practice of medicine, but rather takes up residence in a hotel where he wastes his days reading newspapers and wandering the streets of Lisbon. With its Borgesian and Joycean echoes, this surrealist and symbolic novel pays homage to the poetry of Fernando Pessoa, as well as being an ambulatory paean to the city of Lisbon. Our narrator's eponymous protagonist, Ricardo Reis, has returned to Portugal at the time of political turmoil and instability throughout Europe in the 1930s. Here, among the boulevards and alleyways of the city, he is visited 12 times by the spirit of his alter ego Pessoa, holding conversations which reflect the poet's philosophical musings. Saramago’s use of the present tense gives immediacy and intimacy to the narration, closely drawing the reader into each minutely described scene, so that we feel like companions. The classically formal style suits the strangely detached meditations of Reis/Pessoa, which evoke the ghostly passivity of the pre-war populace – suggesting the blurred distinction between the living and the dead which Saramago implies throughout the novel. How is it possible to combine Kafka, Proust, and Borges to create something entirely unique and compelling? Only Saramago knows for sure. With him Portugal is the home of Everyman who copes with the quotidian as well as the bizarre with panache and fortitude. As an incidental benefit, Ricardo Reis also provides a synopsis of Iberian literary history as well as an interesting travelogue of Lisbon. Read this with Google Earth at hand as he takes you round Baixa and Rossio. José Saramago (1922 – 2010), Prémio da Literatura 1998, publicou o romance “O Ano da Morte de Ricardo Reis” em 1984. Tal como o título indica, José Saramago, constrói a narrativa recorrendo a Ricardo Reis, a personagem principal do romance com uma identidade imaginária, um dos heterónimos do poeta e escritor Fernando Pessoa, “ele próprio”, uma personagem secundária. Ricardo Reis, com quarenta e oito anos de idade, natural do Porto, solteiro, médico e poeta, com última residência no Rio de Janeiro, regressa a Portugal em Dezembro de 1935, após dezasseis anos de auto-exílio no Brasil, alojando-se primeiro no Hotel Bragança, na proximidade do Cais do Sodré, e mais tarde aluga um apartamento na zona do Miradouro de Santa Catarina em Lisboa. Lisboa e Portugal vivem um dos períodos mais sombrios da sua história; a ditadura de Salazar, conjugada no discurso e na propaganda ideológica fascista, a repressão e a intervenção da polícia política do Estado Novo, a PIDE; inúmeros acontecimentos políticos e militares, num contexto geográfico europeu, igualmente, em transformação, como a Guerra Civil em Espanha, a ascensão ao poder de Mussolini em Itália e a expansão da ideologia nazi na Alemanha de Adolf Hitler, são alguns dos exemplos que José Saramago destaca n´“O Ano da Morte de Ricardo Reis”. José Saramago associa de uma forma magistral a relação entre a vida e a morte, entre o heterónimo Ricardo Reis e o seu “criador” Fernando Pessoa, numa efectiva autonomia biológica, vivendo e sobrevivendo à morte do poeta, mantendo uma “proximidade” física, que se revela e que se acentua pela convivência e pelos diálogos reais e/ou imaginários entre as duas personagens, sobre factos e acontecimentos reais que ocorreram nos anos 30. Em determinadas partes d´“O Ano da Morte de Ricardo Reis” achei a componente histórica excessiva e considero que a viagem ou a “peregrinação” a Fátima está um pouco descontextualizada do comportamento de Ricardo Reis. “O Ano da Morte de Ricardo Reis” é um excelente romance, onde se revela a genialidade da escrita de José Saramago, uma prosa única e original, em que os desafios linguísticos e semânticos são permanentes, nomeadamente, na construção do texto e na supressão de algumas regras gramaticais e de pontuação, que conferem aos seus livros uma fascinante viagem pela história e pela literatura. Truth to tell, I was expecting to fall in love with the guy (I mean Ricardo Reis) but no, eventually I have turned myself against such a male prototype. Sadly, this man appears to have nothing else to do, he sleeps, eats, strolls, and composes poetry line by line with much effort, agonizing over rhyme and meter. When I just recall that It all started so nicely, almost softly adorning a picture of an interesting novel hero…≪ A grizzled fellow, skin and bones […] resumes his existence on terra fir Truth to tell, I was expecting to fall in love with the guy (I mean Ricardo Reis) but no, eventually I have turned myself against such a male prototype. Sadly, this man appears to have nothing else to do, he sleeps, eats, strolls, and composes poetry line by line with much effort, agonizing over rhyme and meter. But Ricardo Reis, serious by nature, often felt a repressed Dionysian turmoil stirring within. Only the fear of his own body prevented him from throwing himself into wild frenzy (such for example the Carnival on the streets of Lisbon), as we never know how such things will end…Especially when we talk about samba, the samba, that tremor in one’s soul. Ha. I wished there had been more dialogues and/or monologues with/by Fernando Pessoa. To my ever-constant, slightly growing regret during the course of reading there is just a bit of what I expected and wished for, and it could never satisfy any recurrent hunger especially on such themes as elaborated by Fernando Pessoa. However, there is a (very) big plus after finishing the novel. I felt there are too many gaps or voids to fill in to my mental self so I just have to get back with re-reading him. I have actually started immediately and opening my favorite (so far) The Book of Disquiet I dived exactly on the page where the poet described what Freedom should stand for…and I agree. ≪.. Two words about the poet’s [Fernando Pessoa] earthly passage. For him two words suffice, or none. Indeed, silence would be preferable, the silence that already enshrouds both him and us and which is in keeping with his temperament, for what is close to God is close to him. Yet those who were his peers in extolling beauty should not, could not have allowed him to descend into earth, or rather ascend to the final horizons of Eternity without voicing their protest, calm yet aggrieved at this departure, the companions of Orpheus, more brothers than companions, who pursued the same ideal of beauty, they could not, I repeat, abandon him in this final resting place without having showered his gentle death with the white lilies of silence and suffering. We mourn the man whom death takes from us, and the loss of his miraculous talent and the grace of his human presence, but only the man do we mourn, for destiny endowed his spirit and creative powers with a mysterious beauty that cannot perish. The rest belongs to the genius of Fernando Pessoa. Come now, come now, exceptions can fortunately still be found to the normal rules of life. Since the time of Hamlet we have been going around saying, The rest is silence, in the end it’s genius that takes care of the rest, and if this genius can do it, perhaps another genius can too≫. ≪ Ricardo Reis is ready to leave. He has no one waiting for him…The sensible thing would be to stay at home… He has papers to arrange, books waiting to be read, and decisions to make, what kind of future does he want, what kind of job, where can he find the motivation to live and work, the reason…≫. ≪ Ricardo Reis returned to his room, thought perhaps he should make the bed before going out, he must not allow himself to become lax in his habits, but it was hardly worth the effort, he was not expecting visitors, so he settled in the chair where Fernando Pessoa had spent the night, crossed his legs as he had seen him do, clasped his hands on his knee, and tried to imagine himself dead, to contemplate the empty bed with the lifeless eyes of a statue. But there was a vein throbbing in his left temple, and the left eyelid twitched. I am alive, he murmured, then in a loud, sonorous voice he repeated, I am alive, and since there was no one there to contradict him, he was convinced ≫. ≪ He rummages at the desk, through the manuscripts of his poems…He reads at random and asks himself if he is their author, for he does not recognize himself in what is written, in this detached, calm, resigned person, almost godlike, for that is how gods are, composed as they assist the dead. Vaguely he muses, he must organize his life, his time, decide how he will spend his mornings, afternoons, and evenings, get to bed early and rise early, find one or two restaurants that serve simple, wholesome meals, and he must reread and revise his poems …≫. Não sei se esta é a história de Ricardo Reis, ou se Saramago o usou como pretexto para dar a conhecer o mundo, particularmente a Europa, no ano de 1936. Em qualquer dos casos, Ricardo Reis volta a Portugal, depois do exílio no Brasil, quando tem conhecimento da morte de Fernando Pessoa. Desembarca numa Lisboa sombria; sombria pelo tempo chuvoso e pelo clima político e social que se vive no país. Numa narrativa onde a melancolia dá mãos à beleza, o autor disseca a realidade crua de uma das piores fa Não sei se esta é a história de Ricardo Reis, ou se Saramago o usou como pretexto para dar a conhecer o mundo, particularmente a Europa, no ano de 1936. Numa narrativa onde a melancolia dá mãos à beleza, o autor disseca a realidade crua de uma das piores fases deste país; uma população esmagada sob um regime ditatorial, sem justiça, sem esperança, a depositar a última fé de salvação nos hipotéticos milagres de Fátima. O futuro é incerto, sobretudo com a Europa unida num abraço fascista que abarca a Alemanha de Hitler, a Itália de Mussolini, a Espanha de Franco, e Portugal; que se ajoelha perante o "salvador" da Pátria, Salazar, louvado e temido na mesma medida. Perante este cenário, Ricardo Reis, na sua costumada pasmaceira de viver sem nada ambicionar, conformado com a efemeridade, tendo a morte como única certeza, vai tomando conta do estado da nação, sobretudo pelos jornais. Mero espectador, o seu senso crítico é nulo e Saramago serve-se dele para expor a sua crítica pessoal com a ironia e sarcasmo habituais. Mal Ricardo Reis pôs os pés em terra começou a receber visitas se Fernando Pessoa, que vem do mundo dos mortos para encontros onde discutem a vida, o mundo à sua volta, os amores e a conduta do poeta. Foi o lado irreal da história, e onde a ficção e a realidade coexistiram de uma forma fascinante. A mulher forte desta obra é Lídia: criada no hotel onde o poeta se hospedou, começa pouco tempo depois a fazer-lhe "visitas noturnas". Mulher do povo, inculta, pouco espera da vida mas é ciente da realidade e destemida. Ricardo Reis faz-lhe um filho - que não pretende reconhecer- e Lídia nada exige, aceita o seu destino. Ela que era a sua ligação ao quotidiano, vai ficando mais independente, vai-se afastando, e ele vai caindo no marasmo. Ricardo Reis desiste de viver. Lídia enfrenta a vida carregando no ventre a esperança de um melhor futuro. Outro dos pontos fortes deste livro é o roteiro lisboeta percorrido por Ricardo Reis. Muitos o fazem e eu também o fiz. Foram três dias a subir e descer ruas, ao segundo, pés e pernas já pediam clemência, ao terceiro parecia uma aleijadinha. Mas foi inesquecível! I don’t know. For me, such a paragraph is enough to inspire trust and guarantee a committed reading. There were a few of his novels that were fighting for a place in my Most Elite shelf (Worshiped and Adored being the most accurate description of my feelings for these texts), this one won out partly, I think, because it is woven tight to Pessoa, another of my literary loves (though I don’t think knowledge of his work is a prerequisite for reading this novel). Of who is thinking or feeling. I have more than one soul. There are more I’s than I.
I silence them: I speak. Dispute in who I am. Vou tentar descrever o que senti durante a leitura deste livro maravilhoso de José Saramago. O Ano da Morte de Ricardo Reis é absolutamente fantástico. Fez-me amar mais Lisboa, as pessoas e a vida. O escritor conseguiu surpreender-me ao longo da leitura e viver algumas semanas no ambiente característico do século XIX. A mentalidade do povo português pouco mudou. Ricardo Reis regressa do Brasil depois de estar dezasseis anos longe do seu país. O estranhamento inicial e a procura de um lugar para Vou tentar descrever o que senti durante a leitura deste livro maravilhoso de José Saramago. O Ano da Morte de Ricardo Reis é absolutamente fantástico. Fez-me amar mais Lisboa, as pessoas e a vida. O escritor conseguiu surpreender-me ao longo da leitura e viver algumas semanas no ambiente característico do século XIX. A mentalidade do povo português pouco mudou. Ricardo Reis regressa do Brasil depois de estar dezasseis anos longe do seu país. O estranhamento inicial e a procura de um lugar para chamar de lar. Passear pelas ruas lisboetas pelo olhar do médico foi agradável. A paixão e o amor entre duas mulheres tão diferentes. Personagens femininas fantásticas. Quando estas mulheres roubam a cena ao protagonista são, sem dúvida, as minhas partes preferidas. Li o livro de forma lenta como a narrativa pede. São expostos vários temas a partir das observações dos personagens e acontecimentos. Os diálogos entre Ricardo Reis e o seu criador deixaram-me fascinada com a forma brilhante como o escritor resolveu contar esta história. Imersa enquanto folheei as páginas deste livro. Mexeu com as minhas emoções e emocionou-me. Havia tanto a dizer mas eu não sou capaz. Este foi o oitavo livro de Saramago que li, comparativamente é talvez a sua melhor obra literária, não fazendo isso deste o seu melhor livro. A escrita, a investigação, a estrutura e a intertextualidade fazem deste trabalho uma obra de grande valor no domínio da arte das letras, contudo à história falta enredo e essencialmente conflito, o que torna a sua leitura um tanto espessa, por vezes penosa até, para o leitor. https://virtual-illusion.blogspot.pt/.. Este foi o oitavo livro de Saramago que li, comparativamente é talvez a sua melhor obra literária, não fazendo isso deste o seu melhor livro. A escrita, a investigação, a estrutura e a intertextualidade fazem deste trabalho uma obra de grande valor no domínio da arte das letras, contudo à história falta enredo e essencialmente conflito, o que torna a sua leitura um tanto espessa, por vezes penosa até, para o leitor. “O Ano da Morte de Ricardo Reis” é apenas o quinto romance do autor, sendo precedido em dois anos pelo não menos relevante “Memorial do Convento” (1982), e claro suportado por toda uma experiência acumulada por Saramago nos seus, até à publicação do texto, 62 anos. Visto deste modo, espanta menos a complexidade apresentada, ainda que o que aqui temos não esteja ao alcance de qualquer escritor. Neste sentido, para se poder verdadeiramente apreciar a obra é necessário realizar algum esforço de análise e estudo, para o que tentarei apontar aqui algumas linhas que facilitem essa análise e entrada no texto. Primeiramente, e talvez o mais sobejamente conhecido, cabe identificar quem é, ou foi, Ricardo Reis. Um dos quatro mais reconhecidos heterónimos de Fernando Pessoa, com uma faceta marcada pela poesia clássica da Roma Antiga, nomeadamente Horácio (65 a.c. - 8 a.c.), daí que o estilo de Reis seguisse de perto as estruturas das Odes, com uma queda para os temas amorosos. Saramago escolheu-o por gosto pessoal, mas em especial por ter verificado que Reis era o único dos quatro que Pessoa não tinha morto, tendo resolvido-se a terminar o trabalho iniciado por Pessoa. Como nenhum dos heterónimos de Pessoa era totalmente autónomo de si, Saramago opta por construir uma escrita que apesar de suportada em alguns temas de Reis, segue mais de perto o estilo geral de Pessoa. Basta ler algumas passagens da obra, para se perceber que sendo Saramago quem escreve, parece ser Pessoa quem dita, e é desde logo aqui que a obra começa a ganhar a sua relevância, dando conta da capacidade de Saramago para incorporar e elaborar diferentes estilísticas. Ao mesmo tempo que esta fusão entre Saramago e Pessoa é, talvez, do ponto de vista do prazer da leitura, o que de melhor a obra tem para nos dar. Em termos da narração, apesar de termos apenas um narrador, Reis, ele não é apenas ele, ou seja não temos poesia na forma de odes, como nunca o poderia ser sendo heterónimo de Pessoa, que enquanto tal nos vai tocando com as suas preocupações mais profundas sobre o devir, mas também não é apenas Pessoa, sendo Saramago quem romanceia, desde logo por toda a acidez política que se vai desvelando ao longo da obra, assim como pela sexualidade que emerge, estranha a Reis e Pessoa. Ou seja, ler este romance é viver o mundo simultaneamente pela experiência de três distintas personalidades. Refletindo agora, não sei até que ponto a complexidade implícita neste narrador não terá servido de motivação a Saramago para aplanar o enredo, e assim garantir tempo, mas acima de tudo espaço para o acesso a cada uma das três experiências nele presentes. O que ajuda a compreender toda a relevância, detalhe e investigação sobre a geografia de Lisboa apresentada na obra por Saramago, nomeadamente quando se representa uma Lisboa de 1935, a partir de linhas escritas quase 50 anos depois. Este trabalho é tão minucioso e relevante, que a Porto Editora se prepara, pelas mãos de Ricardo Cruz, para lançar um livro sobre os espaços do livro em 2017, contrastados com os dos anos 1930. O ano de 1935 não é fruto do acaso, é o ano da morte de Pessoa, como tal é aí que Saramago resolve voltar na sua viagem no tempo. E se Reis estava no Brasil exilado, é a Lisboa que resolve voltar para saber mais sobre a morte de Pessoa. E se Saramago apresenta uma Lisboa de 1935 tão detalhada, não faz menos pela História, tanto nacional como internacional. Relembrar que o livro foi escrito apenas dez anos após a nossa revolução de 1974, vive-se ainda com o sentir muito colado a um ditador que marcou a História do país por mais de 40 anos, e chegou ao poder apenas 3 anos antes de Pessoa se despedir. Por outro lado a Europa vive tempos muito atribulados, com Mussolini em Itália, Hitler na Alemanha, e Espanha em plena guerra civil. Mais uma vez refletindo, não deixa de ser algo excêntrico a contundente crítica de Saramago ao nacionalismo do Estado Novo, à sua ânsia por estimular os valores nacionais, relembrando o prémio de Ferro a Pessoa pelo poema “Mensagem” ou a referência ao “Dia da Raça”, e no entanto todo este “O Ano da Morte de Ricardo Reis” ser um autêntico hino às letras nacionais. Se o espaço é Lisboa, Saramago usa-o para nos conduzir, pela mão de Reis, até à estátua de Camões, mantendo o poeta presente ao longo de quase toda a narrativa, não se ficando por aí, levando-nos também até Eça e ao Adamastor. Assim se Saramago nos obriga a respirar as letras nacionais, ler esta obra hoje, depois de tudo o que alcançou como escritor, leva-me a interrogar sobre o que mais se poderia pedir a uma obra de enaltecimento do nosso país? Teria Saramago consciência de tal? Mesmo no campo da intertextualidade parece haver uma certa fixação, já que se a grande extensão das citações e referências se fazem para com Reis, Pessoa e Camões, ou ainda Eça, o facto de ser ir buscar Jorge Luís Borges para autor do livro que acompanha Reis durante a sua estadia em Portugal, não é inocente. Borges foi uma das várias mentes brilhantes que proveio de famílias judias expulsas de Portugal no século XVIII. No campo das personagens, Saramago junta a Reis duas mulheres, Lídia e Marcenda. Lídia assume o primeiro plano, apesar de sempre atirada para um papel secundário, mas o que é ainda mais interessante é o facto de Lídia ser o principal amor das Odes de Ricardo Reis, tendo Pessoa ido buscá-la às Odes de Horácio, e não foi o único. Contudo como diz António Manuel Ferreira, ao contrário de outras personagens históricas ou ficcionais — como “Adriano, Efigénia, Antígona, Cassandra, Ganimedes, Antínoo, ou Ofélia” — Lídia é alguém não só praticamente desconhecida, como não detém especificidade, e assim talvez se perceba melhor o modo como Saramago a trata, secundarizando-a. Em certa medida, Lídia lembra Ofélia Queiroz, a única namorada conhecida de Pessoa, que tendo-o sido, foi-o quase sem o ser, e talvez seja mesmo este ponto que justifica a opção de Saramago. “Vem sentar-te comigo, Lídia, à beira do rio. Que a vida passa, e não estamos de mãos enlaçadas. O enredo acaba sendo o parente mais pobre de toda a obra. Saramago parte com uma excelente premissa, “como teria morrido Reis se Pessoa tivesse tido tempo para o matar?”. Contudo, e apesar de apimentado com um triângulo amoroso, apesar da presença fantástica de Pessoa fantasma, que visita Reis nos nove meses após a sua morte, o enredo é quase inexistente. Reis limita-se a chegar a Lisboa e a nela deixar-se viver, segue um dia para Fátima, que Saramago aproveita para dissertar sobre a religião, mas de resto não arreda pé, nem do espaço, nem da pessoa que é. É certo que o niilismo de Reis e Pessoa nunca se dariam muito facilmente aos artifícios romanescos, em especial o conflito, que serve de alavanca à progressão, evolução e transformação, mas Saramago soube dar a volta a tantas outras componentes, não ficando claro porque aqui não o fez. Não é uma incapacidade de Saramago, basta atentar na obra anterior — “Memorial…” —, no entanto temos de admitir que é uma forma de enredo que apesar de funcionar em pequenos poemas, perde em fluidez no modo romance, tornando a leitura bastante lenta e difícil. "Nada fica de nada. Nada somos. Somos contos contando contos, nada"
Tendo em conta a dificuldade de leitura, sou obrigado a questionar as razões que levaram o Ministério da Educação a tornar obrigatória a leitura desta obra no 12º ano nos anos lectivos de 2017/18 e 2018/19, sendo depois destes permitida a opcionalidade com “Memorial do Convento”. Como fica claro deste texto, considero as duas obras do melhor que Saramago nos deu, mas tendo em conta a dificuldade de leitura apresentada por “Ricardo Reis…” não consigo compreender a obrigatoriedade tendo em conta a idade dos leitores. Não é assim que garantimos uma motivação para a leitura nestas camadas. Para fechar, deixo-vos com a máxima de Saramago, em entrevista, a propósito deste livro: "Neste livro nada é verdade e nada é mentira". Piove su Lisbona sul finire dell’Anno Domini 1935. Precisamente è il 30 dicembre e nel porto di Alcanatara sta attraccando una nave che arriva dal Brasile. A bordo c’è Ricardo Rèis: un nome ideato da Fernando Pessoa a cui Saramago da corpo, forma e voce. Pessoa è morto ma questo suo eteronimo sopravvive, anzi, torna proprio per la scomparsa del Poeta. Saramago non solo ci porta nei vicoli inerpicanti di Lisbona, nelle sue piazze e nei suoi giardini (dove i vecchi aspettano con ansia di sfogliare giornali che parlano della cronaca nera e distolgono lo sguardo dal nero mantello con cui la Germania sta avvolgendo il Portogallo, l’Italia e la vicina Spagna) ma crea labirinti. Rèis legge “The God of the labyrinth” di Herbert Quain autore anch’esso inesistente in quanto frutto della fantasia di Borges. Labirinti nel labirinto, intrecci casuali o meno di cui è fatta la vita. Pessoa si frazionava nei suoi eteronimi. Un aggrapparsi ad una sopravvivenza moltiplicata che non riusciva a soddisfarsi di una sola voce ma in un ventaglio di possibili versioni. Vero e menzogna. Realtà storica e immaginazione poetica. Questi i binari di un romanzo in cui a Pessoa morto sono stati concessi ancora otto mesi per completare il suo distacco terreno incontrerà quel Rèis che qui vive la fisicità (il cibi, il esso, la malattia fisica) che il suo creatore ha perso come fosse l’ultima esalazione di un respiro che si fa idea e a cui non rimarrà che sopravvivere nelle parole che ha lasciato. Saramago è qui nel suo tipico stile di romanzo chiacchierato con quel suo periodare a fiume proprio come la chiacchera di chi ha tanto da dire e si aggrappa le parole spesso perdendo il filo iniziale per l’ansia che ci sia solo il silenzio della solitudine. Tipico è quell’amaro sarcasmo che guarda alla Storia dei popoli e fa parlare il monarchico Reìs di ciò che accade dall’ariana Germania alla terra lusitana. I colloqui con Pessoa, invece, si collocano su dimensioni più interiori. Giochi di parole, giochi di specchi. Un libro che rileggerò quando avrò più bagaglio perché i rimandi a Pessoa sono tanti e vanno letti. إذا لم تكن برتغاليا ً أو مطلعا ً على الأدب البرتغالي، ولم تقرأ المقدمة التي وضعها المترجم تحت عنوان ( إلى القارئ)، واعتذر فيها عن اضطراره للتفسير وأخذ يدك خلال الرواية، فستكون الحكاية بالنسبة لك، طبيب برتغالي يعود من البرازيل حيث عاش 16 عاما ً، ما الذي أعاده؟ لا ندري !!! ما الذي كان يفعله في البرازيل خلاف أن يطبب الناس؟ لا ندري !!! يأخذنا الطبيب، الذي يتكشف عن شاعر، عبر حياة جديدة يعيشها في البرتغال، في فندق ومن ثم في شقة يحصل عليها بعدما تضيق عليه السلطات البرتغالية قليلا ً، لشكوكها فيه، فذلك العصر حيث الثورات الشيوعية في كل مكان، وخاصة في البلد المجاور – أسبانيا -، يأخذنا الطبيب كما كنا نقول في علاقتين عاطفيتين، إن كنا متجوزين وسمينا العلاقة الأولى الجسدية تماما ً مع خادمته في الفندق بالعلاقة العاطفية، أما علاقته التالية فلم يكن فيها شيء جسدي، وكانت مع فتاة من نزيلات الفندق الشهريات، حيث تنزل به أياما ً من كل شهر، قادمة من مدينتها الصغيرة مع والدها، لتعالج يدها التي لم تعد تتحرك، ولكن الرواية ليست بكل هذه الواقعية، فهناك جانب خيالي سنحار في تفسيره عندما يلتقي الطبيب بشاعر برتغالي مات قبل أيام من وصوله من البرازيل، الشاعر يدعى ( فرناندو بيسوا) وبما أنه ميت، فالطبيب يلتقي بشبحه من حين إلى حين، وكل ما يفعلانه هو الحديث، هذا غريب !!! ولكنه ليس أغرب ما وجدناه في الروايات، إذن ما الذي يكسب هذه الرواية أهميتها في الأدب البرتغالي؟ هذا سؤال يقودنا جوابه إلى سؤال آخر، من هو ( فرناندو بيسوا)؟ يخبرنا المترجم عنه بأنه شاعر برتغالي كان لديه حلم بأن يكون هو بنفسه ( أدبا ً كاملا ً)، فلذا قام باختلاق شخصيات شعراء نشر تحت أسمائهم أعماله وقصائده ( البرتو كاييرو)، ( ألفارو دوكامبوس)، ( برناردو سواريس) و( ريكاردو ريس)، من هنا تبدو لنا المتاهة التي يدبرها لنا ساراماغو، فبطله ريكاردو ريس ليس إلا شخصية وهمية اخترعها شاعر برتغالي مات سنة 1935 م، ولكن ساراماغو يمنح هذه الشخصية الحياة، ويأتي بها من البرازيل – حيث وضعها موجدها – ليعيش في البرتغال ويكون شاهدا ً على تلك الفترة من تاريخها، وليلتقي بموجده ومبتكره بيسوا، أجمل ما بدا لي في فكرة الرواية هو أنه للحظة يبدو لنا ريكاردو ريس والذي لطالما كان مجرد فكرة في ذهن بيسوا، شخصا ً حقيقيا ً يتخيل كل هذه اللقاءات ببيسوا، والذي يرتد من كونه حقيقة موجودة إلى مجرد وهم يخلقه كاتب آخر هو ساراماغو، ولنتخيل يوما ً يأتي فيه كاتب برتغالي آخر – لن يكون هناك معنى لو جاء كاتب غير برتغالي -، ويصنع من ساراماغو حكايته، ستكون هذه لمحة ساخرة، من سارماغو الساخر دوما ً، ربما تتساءل الآن لم كتبت كل هذا بهذه الطريقة المتصلة، الكئيبة وغير المبهجة للعين !!! حسنا ً... هكذا قرأت الرواية، يقول المترجم أن ساراماغو كتب هذه الرواية بهذه الطريقة، وأنه احتراما ً لطريقته ترجمها بذات الأسلوب، ولا أظن أنكم تريدون مني أن أكون أقل احتراما ً !!! Every time I read a book by Saramago I feel sad because he is no longer among us, to delight us with his writing, and that feels terrible. I felt this once more while reading this book, and I think I will feel it when I read the books I haven't read yet. Having said this, I had a wonderful time reading this book. Basically it tells what happens when Ricardo Reis, one of Fernando Pessoa's heteronyms, returns to Lisbon after sixteen years living in Brazil. There is a revolution in that country, Rei Every time I read a book by Saramago I feel sad because he is no longer among us, to delight us with his writing, and that feels terrible. I felt this once more while reading this book, and I think I will feel it when I read the books I haven't read yet. Having said this, I had a wonderful time reading this book. Basically it tells what happens when Ricardo Reis, one of Fernando Pessoa's heteronyms, returns to Lisbon after sixteen years living in Brazil. There is a revolution in that country, Reis learns that Pessoa has died, and he makes up his mind to return to Portugal. And finds that many things have change, only in his country but also in Europe. In the first months, Reis lives in a hotel and starts an affairs with a chambermaid called Lídia. There, he also meets Marcenda, a young lady from Coimbra, who suffers a mysterious condition that has paralyzed her left arm. Reis is a medical doctor but in is first times in Lisbon he does not practice. Instead, he walks around the city, reads the papers, and he's visited by Fernando Pessoa, who, despite being dead, is capable of visiting Reis (he offers a very interesting theory on this). After leaving the hotel, Reis finds a house to live and he even finds a job as a substitute doctor. But most of his time is spent walking around and learning the news, both national and international, throught the reading of the newspapers. And thus, we now how the life went in the Portugal of the mid-thirties, and in the world. L'ho letto con insolita lentezza, assaporando riga dopo riga, soffermandomi sulle parole e seguendo suggestioni, rimandi e richiami. Ho letto le odi di Ricardo Reis, per ritrovarle tra i pensieri del protagonista di questo uno e mille libri al tempo stesso (come Pessoa?). Già l'incipit, bellissimo, "Qui il mare finisce e la terra comincia", crea quell'atmosfera indefinita, sospesa tra sogno e realtà, che caratterizza l'intero romanzo. Una città reale, Lisbona, che l'acqua dell'oceano, del fiume e L'ho letto con insolita lentezza, assaporando riga dopo riga, soffermandomi sulle parole e seguendo suggestioni, rimandi e richiami. Ho letto le odi di Ricardo Reis, per ritrovarle tra i pensieri del protagonista di questo uno e mille libri al tempo stesso (come Pessoa?). Già l'incipit, bellissimo, "Qui il mare finisce e la terra comincia", crea quell'atmosfera indefinita, sospesa tra sogno e realtà, che caratterizza l'intero romanzo. Una città reale, Lisbona, che l'acqua dell'oceano, del fiume e della pioggia, trasforma quasi in un'isola. E in effetti è su un'isola che vive Ricardo Reis, creatura di Pessoa, a lui sopravvissuto. Il mondo reale lo circonda, l'Europa sta per precipitare nel periodo più oscuro della sua storia, ma Ricardo Reis, quasi come Bernardo Soares alla finestra della sua stanza (Il libro dell'inquietudine) osserva attraverso il filtro dei giornali, “parole, notizie, è ciò che del mondo resta, l’altro resto è la parte di invenzione necessaria perché del suddetto mondo possa rimanere anche un volto, uno sguardo, un sorriso, un’agonia,”. E noi lo percepiamo anche attraverso gli occhi del direttore e del facchino dell'albergo in cui il protagonista si sistema inizialmente. E ancora dai racconti di Lidia, la cameriera che incarna un amore cantato nei versi che Ricardo ha scritto. Lidia e Marcenda (un nome o un "gerundio" significativo) sono le due figure femminili che Reis incontra e tra le quali il suo pensiero si divide: popolana e carnale una, di diversa educazione e livello sociale l'altra. È il racconto di un Portogallo ancora solo sfiorato dai tragici eventi della Storia, con quella pioggia insistente che sembra confermare l'idea che la natura partecipi alle tragedie dell'uomo. È una storia di distanze, “il muro che separa i vivi gli uni dagli altri non è meno opaco di quello che separa i vivi dai morti”; di confini indefiniti tra realtà e sogno, tra vita e morte, in questa città in cui i vivi e i morti camminano fianco a fianco (come nella Lisbona di Berger, "Qui, dove ci incontriamo"). Solo qui, infatti, è possibile che Fernando Pessoa, morto nel 1935, trascorra ancora qualche mese dopo la morte (una sorta di compensazione per i mesi che abbiamo trascorso nell'utero materno) e si rechi a incontrare Ricardo Reis, suo eteronimo. Splendidi i dialoghi tra il grande poeta, scomparso “senza aver capito se è il poeta che si finge uomo o l’uomo che si finge poeta,” su vita, morte, io, tutte domande per le quali non esiste una risposta, così come “Non c’è risposta per il tempo, in esso siamo e assistiamo, niente più”. E il tempo li ingoia tutti e due, sfumando i contorni di Pessoa, finché non si avvieranno insieme verso il destino comune. Saramago ha concesso loro una proroga, un'indimenticabile opportunità di confronto. Омаж Лисабону, Португалу, Фернанду Песои. Уживао сам у читању. Многа питања се покрећу овде, питања (узалудности) живота и смрти, морала, патриотизма, свега осталог што чини једно постојање или оно што се постојањем зове. Иако захтева и познавање одређених чињеница из португалске историје и културе, и поред тога, може се сасвим уживати у овом роману. П. С. Посебна похвала за преводиоца - Јасмину Нешковић. Сасвим је пренет дух Сарамагове реченице; превод је потпуно течан са изузетно пре Величнствено! Oster je, ako me pamćenje dobro služi, u jednom intervju izneo tezu da se svaki pisac bavi jednom do tri teme kroz ceo svoj opus uz niz varijacija, što mislim da nije daleko od istine. Računajući i ovu, pročitao sam 6 knjiga od Saramaga koji i kroz ovaj roman indirektno provlači teme koje ga opsedaju - smrt i bog. A ja, premda ne verujem u boga(zbog čega i volim to što kroz svako delo "pecka" božanstvo) verujem u Saramaga - u to da će me svaki put zadiviti načinom na koji piše. U ovom delu, pose Oster je, ako me pamćenje dobro služi, u jednom intervju izneo tezu da se svaki pisac bavi jednom do tri teme kroz ceo svoj opus uz niz varijacija, što mislim da nije daleko od istine. Računajući i ovu, pročitao sam 6 knjiga od Saramaga koji i kroz ovaj roman indirektno provlači teme koje ga opsedaju - smrt i bog. A ja, premda ne verujem u boga(zbog čega i volim to što kroz svako delo "pecka" božanstvo) verujem u Saramaga - u to da će me svaki put zadiviti načinom na koji piše. U ovom delu, posebno mi se dopala ta lakoća, poetičnost napisanog. Nema onog matematički preciznog pisanja kad, nakon što neki lik izađe iz prostorije, pisci krenu sa opisom eksterijera, ili, u slučaju pojave novog lika, krenu sa opisom njegovog izgleda itd. Saramago je, pak, barem mi se tako čini, potpuno oslobođen od bilo kakvih pravila. S' jedne strane, drago mi je što je organizovana hrišćanska religija praktično proterala Saramaga iz domovine. Taj potez je možda i najveći doprinos umetnosti od strane katoličke crkve. Jer da nisu tako pobožno reagovali, osuđujući nevinog čoveka zbog toga što je pisac, možda nikad ne bih otkrio ovog genija. U ovom delu, pokazao je kako i mala, obična priča, može biti velika i sjajna kad je piše umetnik, kao što u šahu, kad ga igra velemajsto, pešak, kao najslabija figura, bez muke postaje kraljica. Em 1988, uma das curvas apertadas da vida (serviço militar), desaguou-me em Mafra. Pareceu-me, então, ser uma excelente altura para, lendo o Memorial do Convento, iniciar-me em Saramago de quem tanto ouvira e nada houvera lido - e o muito que ouvira era essencialmente político e pouco abonatório. Adiante. Não consegui terminar as andanças de Blimunda e Baltasar Sete-Sóis: habituado a outros cânones literários (Steinbeck, Hemingway, então os meus faróis), o estilo de Saramago era-me desconfortáve Em 1988, uma das curvas apertadas da vida (serviço militar), desaguou-me em Mafra. Pareceu-me, então, ser uma excelente altura para, lendo o Memorial do Convento, iniciar-me em Saramago de quem tanto ouvira e nada houvera lido - e o muito que ouvira era essencialmente político e pouco abonatório. Adiante. Não consegui terminar as andanças de Blimunda e Baltasar Sete-Sóis: habituado a outros cânones literários (Steinbeck, Hemingway, então os meus faróis), o estilo de Saramago era-me desconfortável. Muitos anos volvidos, foi-me veementemente recomendado por alguém cujas leituras não merecem reparo. E assim, volvidos quase 30 anos, aventurei-me a pegar neste O Ano da Morte de Ricardo Reis. Em boa hora o fiz, o livro é espantoso, lê-lo é (foi) um prazer. Fazem-se descobertas: a erudição de Saramago é um dado adquirido, sabe-se pelos dados biográficos que foi um auto-didacta, um rato de biblioteca - a sua biblioteca em Lanzarote faz-nos perder o ar! Mas do seu seu sentido de humor, não suspeitava. Nem do seu extraordinário talento com as palavras, usando um vocabulário que, não sendo extenso, é rigoroso e preciso. "... quando o que em nós pensa está apenas sentindo..." ou "há circunstâncias em que calar-se é mentir." são modestos exemplos, que me ocorrem ao correr da pena, da genialidade das frases simples. Camillo era um sarcástico verrinoso. Eça, um humorista de fina ironia. Saramago é a síntese de ambos, sem perder a originalidade. سيأتي يوم ينكرونك فيه مائة مرة..ويوم آخر ستكون أنت من يتمني ذلك فيه.. Non è mai facile per me raccontare ciò che Saramago è in grado di regalarmi e darmi, ma questa volta cercherò di valicare il confine delle emozioni e essere più razionale possibile per parlare di questo libro. "Qui dove il mare è finito e la terra attende" si narra la storia di Ricardo Reis, uno degli eteronimi dietro cui si cela la figura di Fernando Pessoa. Saramago introduce la figura di Ricardo Reis presentandoci un medico-poeta che ha vissuto per ben 16 anni in Brasile e che giunge sulle cos Non è mai facile per me raccontare ciò che Saramago è in grado di regalarmi e darmi, ma questa volta cercherò di valicare il confine delle emozioni e essere più razionale possibile per parlare di questo libro. "Qui dove il mare è finito e la terra attende" si narra la storia di Ricardo Reis, uno degli eteronimi dietro cui si cela la figura di Fernando Pessoa. Saramago introduce la figura di Ricardo Reis presentandoci un medico-poeta che ha vissuto per ben 16 anni in Brasile e che giunge sulle coste del Portogallo scendendo dall'Highland Brigade, la nave che lo porta a casa. Una figura di carne e di sentimenti, di pensieri, di emozioni, di amore,che valica i confini del tempo per entrare nella storia, nel mito. this book is so beautifully written it hurts. it made me promptly go out and read other saramago, but nothing (including blindness) has compared yet (i'm going to read baltasar and blimunda soon...). and the meta pomo on top of pomo backbone with pessoa and multiple character identities inhabiting books and wandering around in them, breathing and really walking around having lives and tributes inside other tributes, is ! pretty much perfect, i say. My first book by Joselito Saramago, 1998 Nobel Prize winner for literature. 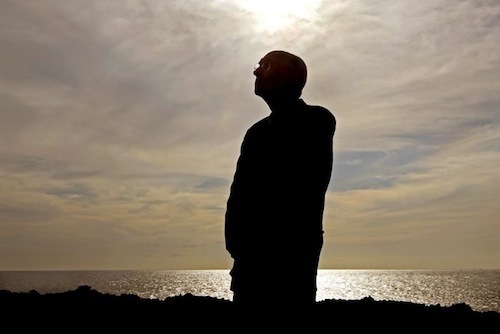 Ricardo Reis, a middle-aged poet and doctor of medicine, left Portugal sixteen years ago for Rio de Janeiro (Brazil) but has decided to come back after learning about the death of his friend, the poet Fernando Pessoa. At Lisbon, he stayed in a hotel and met a chamber maid named Lydia. They began an affair. After cleaning his room, Lydia cleans him too, using her natural juices as water and her body as a mop. Occasional te My first book by Joselito Saramago, 1998 Nobel Prize winner for literature. Occasional tenants of the hotel, too, were the aristocratic Marcenda and her lawyer-father. They ostensibly visit Lisbon to get medical treatment for Marcenda's paralyzed left arm, but her father's real purpose is to see his mistress in the city. Ricardo Reis and Marcenda almost had an affair, he even proposed marriage to her once (something he never did to Lydia), but all they managed to do was to have some lip action a few times. 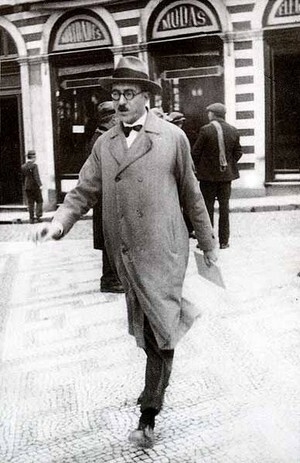 Another frequent visitor of Ricardo Reis was Fernando Pessoa. You may ask why, when the latter, as per narration above, was supposed to have died already. Well, he was a ghost. Senor Pessoa, however, denies he is a ghost. He said ghosts come from another world, but he comes only from the cemetery where he was buried. Eventually, Ricardo Reis leaves the hotel and rents an apartment. Lydia follows him there, taking breaks from her hotel work, and continues her cleaning chores for Ricardo Reis. She gets pregnant. Hitler and Mussolini gain power, civil war erupts in nearby Spain, and Ricardo Reis has lots of thoughts about religion, war, poetry, death, the baby and Portugal. "If I am this,who will be thinking at this moment what I am thinking, or think that I am thinking in the place where I am, because of thinking. Who will be feeling what I am feeling, or feel that I am feeling in the place where I am, because of feeling. Who is using me in order to think and feel, and among the innumerable people who live within me, who I am, Who...what thoughts and feelings are the ones I do not share because they are mine alone. Who am I that others are not nor have been nor will come to be." My brain then stopped my eyes from reading and asked what did he say. He asked if he was like that who will be thinking at this moment what I am thinking, or think that I am thinking in the place where I am, because of thinking, who will be feeling what I am feeling, or feel that I am feeling in the place where I am, because of feeling, who is using me in order to think and feel, and among the innumerable people who live within me, who I am, Who...what thoughts and feelings are the ones I do not share because they are mine alone, who am I that others are not nor have been nor will come to be. Yes, but what did he mean by that. We don't know, you're the brain here, you want us to read it again. Yes, please do read it again because I am blind. "A man must read widely, a little of everything or whatever he can, but given the shortness of life and the verbosity of the world, not too much should be demanded of him." "Time drags like a sluggish wave, it is a sphere of molten glass on whose surface myriad glints catch one's eye and engage one's attention, while inside glows the crimson, disquieting core. Days and nights succeed each other in oppressive heat that both descends from the sky and rises fromm the earth." Antes de dar a minha perspectiva sobre este livro, gostava de fazer notar que a mesma respeita apenas Saramago enquanto escritor e enquanto autor de "O Ano da Morte de Ricardo Reis". Comecei a ler este livro depois do Natal e devo dizer que foi uma excelente companhia nestes dias. Ele esperou cerca de três anos na estante que chegasse a sua vez... Sem perder a paciência e mantendo-se sempre de pé com a capa bem visivel. Dos três heterónimos de Pessoa de que habitualmente se fala, Ricardo Reis co Antes de dar a minha perspectiva sobre este livro, gostava de fazer notar que a mesma respeita apenas Saramago enquanto escritor e enquanto autor de "O Ano da Morte de Ricardo Reis". Dos três heterónimos de Pessoa de que habitualmente se fala, Ricardo Reis costuma ser aquele que gosto menos. Por causa da visão pessimista e seca que tem da vida. Mas consegui adorar lê-lo nestas páginas (ou melhor relê-lo) até porque aqui a Lídia tem um papel efectivo, não se senta só com Reis à beira rio. E eu gostei genuinamente disso até porque ainda que Reis continue com a sua visão pessimista e seca ainda vai desfrutando, nos intervalos, daquilo que de melhor a vida terrena tem. Obrigada por isso, Saramago! Gostei das visitas de Pessoa a Reis e da mistura entre estes dois com o estilo de Saramago. Profundo, por vezes cortante, e com frequência capaz de deixar a nu, e de forma bem mais estruturada, estados de espiritos perdidos num turbilhão de emoções incontrolável. Senti-me como se alguém me conseguisse ler e compreender. Em relação ao estilo de escrita de Saramago, primeiro estranha-se, depois entranha-se. O que quero com isto dizer? Bem... Quando comecei esta leitura, ao fim de poucas páginas, senti-me cansada, quase sem fôlego. Os pontos finais são poucos quando comparados com a quantidade imensa e predominante de vírgulas. As pausas nos textos e os supostos diálogos são controlados por vírgulas apenas. Porém, a verdade é que me habituei ao estilo e quando terminei de ler o livro pensei: já está? Não há mais?! This simple comparison really bares the soul of poetry – just shift a little bit a vantage point and the whole world will be seen in a new marvellous light. The Year of the Death of Ricardo Reis is much more than just a tribute to a great poet – it is a resurrection of one poet in the mind of the other. É do conhecimento público que eu adoro Saramago, é provavelmente o meu escritor preferido. Ainda assim, este livro é demasiado para mim. Ou eu sou demasiado pequena para ele. Vamos precisar de nos reencontrar daqui a uma ou duas dezenas de anos. Espero que ele esteja igual. Espero que eu esteja mais sábia. «Sempre vivi só, Também eu, mas a solidão não é viver só, a solidão é não sermos capazes de fazer companhia a alguém ou a alguma coisa que está dentro de nós, a solidão não é uma árvore no meio É do conhecimento público que eu adoro Saramago, é provavelmente o meu escritor preferido. Ainda assim, este livro é demasiado para mim. Ou eu sou demasiado pequena para ele. Vamos precisar de nos reencontrar daqui a uma ou duas dezenas de anos. A escrita de Saramago, embora diferente e não muito apelativa à primeira leitura, é uma escrita de se louvar. A história em si é genial; quem pensaria em contar os acontecimentos deste ano tão cheio de acontecimentos e ao mesmo tempo provocar uma das facetas de Pessoa? Só Saramago, mesmo. E’ il 30 dicembre 1935. A Lisbona, proveniente dal Brasile, sbarca un medico e poeta, Ricardo Reis, che manca dal Portogallo da 16 anni, un uomo in realtà mai esistito se non nella fantasia di Fernando Pessoa, morto il 30 novembre1935. Reis e Pessoa: un personaggio finto, uno scrittore inventato da un altro scrittore, morto da un mese. Ecco due dei protagonisti del romanzo di Saramago, due fantasmi, uno è un fantasma della mente dell’altro, che è un fantasma vero. Niente altro che finzioni, spet E’ il 30 dicembre 1935. A Lisbona, proveniente dal Brasile, sbarca un medico e poeta, Ricardo Reis, che manca dal Portogallo da 16 anni, un uomo in realtà mai esistito se non nella fantasia di Fernando Pessoa, morto il 30 novembre1935. Reis e Pessoa: un personaggio finto, uno scrittore inventato da un altro scrittore, morto da un mese. Ecco due dei protagonisti del romanzo di Saramago, due fantasmi, uno è un fantasma della mente dell’altro, che è un fantasma vero. Niente altro che finzioni, spettri che meditano su quanto di più umano vi sia, la vita, la morte, la guerra. Ed è proprio il continuo intreccio tra fantasia e realtà il motivo dominante del romanzo: Pessoa e Reis si incontrano, passeggiano, dissertano nelle strade di una Lisbona anch’essa magica, malinconica e piovosa, nelle cui piazze le fredde statue di marmo del massimo poeta portoghese, Luís Vaz de Camões, e dei personaggi dei suoi poemi acquistano umanità grazie ai piccioni che vi si posano, agli anziani che si siedono ai loro piedi, al fiume Tago sul quale si specchiano. Ma nelle acque del fiume si riflettono anche le navi da guerra pronte a salpare: è l’anno 1936, un anno in cui in Europa soffiano terribili venti di guerra, stanno nascendo i primi movimenti militari tedeschi alla conquista delle nazioni vicine, Mussolini sta portando avanti l’invasione dell’ Etiopia, in Spagna scoppia la guerra civile a seguito dell’insurrezione dell’esercito contro il governo guidata dal generale Franco, in Portogallo Salazar si muove sulle posizioni dei governi di destra europei, sostenendo apertamente il nazismo e il fascismo. Queste notizie vengono recepite dal lettore attraverso i giornali che Reis quotidianamente consulta, trattasi di notizie miste con propaganda di regime e pubblicità menzognere, sulle quali si fonda il potere del dittatore Salazar. Il 1936 è anche l’anno, come dice il titolo del libro, della morte di Ricardo Reis: la morte di un fantasma creato dalla mente di un altro fantasma non può essere frutto del destino, è una scelta deliberata. Muoiono la libertà e la pace in Europa, muore la libertà nell’amata patria portoghese. Ancora una volta finzione e realtà, storia e fantasia sono indissolubilmente intrecciate. A strange, dreamy book that is as much about how life fades into death as early 20th Century Portuguese history. Saramago's voice dominates every page of the work to the extent that it seems to be a monologue about a fictional figure and not a novel in the traditional sense. Reis, the main character -- other than the narrator -- was a pseudonym used by the poet Fernando Pessoa, and here Saramago imagines his return to Portugal on the occasion of his creator's death after 16 years in Brazil. It w A strange, dreamy book that is as much about how life fades into death as early 20th Century Portuguese history. Saramago's voice dominates every page of the work to the extent that it seems to be a monologue about a fictional figure and not a novel in the traditional sense. Reis, the main character -- other than the narrator -- was a pseudonym used by the poet Fernando Pessoa, and here Saramago imagines his return to Portugal on the occasion of his creator's death after 16 years in Brazil. It was a turbulent time of Marxist revolts and the rise of fascism in Europe, and Reis' support of monarchy and strict social classes is shaken by Franco's bloody rise to power neighboring in Spain and an awkward affair with a hotel chambermaid. Suffused first with rain and then with oppressive heat, the book seems blurred, dropping into the forgetfulness of death that dominates Reis' conversations with a ghostly Pessoa. José de Sousa Saramago (pronounced [ʒuˈzɛ sɐɾɐˈmagu]) was a Nobel-laureate Portuguese novelist, playwright, and journalist. He was a member of the Portuguese Communist Party. His works, some of which can be seen as allegories, commonly present subversive perspectives on historic events, emphasizing the human factor rather than the officially sanctioned story. Saramago was awarded the Nobel Prize fo José de Sousa Saramago (pronounced [ʒuˈzɛ sɐɾɐˈmagu]) was a Nobel-laureate Portuguese novelist, playwright, and journalist. He was a member of the Portuguese Communist Party. His works, some of which can be seen as allegories, commonly present subversive perspectives on historic events, emphasizing the human factor rather than the officially sanctioned story. Saramago was awarded the Nobel Prize for literature in 1998. He founded the National Front for the Defense of Culture (Lisbon, 1992) with among others Freitas-Magalhaes. He lived on Lanzarote in the Canary Islands, Spain, where he died in June 2010. A foundation with his name was established in 2007; its main aims are cultural promotion, particularly of Portuguese literature and authors. The José Saramago Foundation is currently based in Casa dos Bicos, a Portuguese landmark building in Lisbon. Saramago's house in Lanzarote is also open to the public. Welcome back. Just a moment while we sign you in to your Goodreads account.